An insanely fast Honda CB1300, a Ural sidecar that holds no less than four people, and a sneak peek at the latest Wrenchmonkees bike. 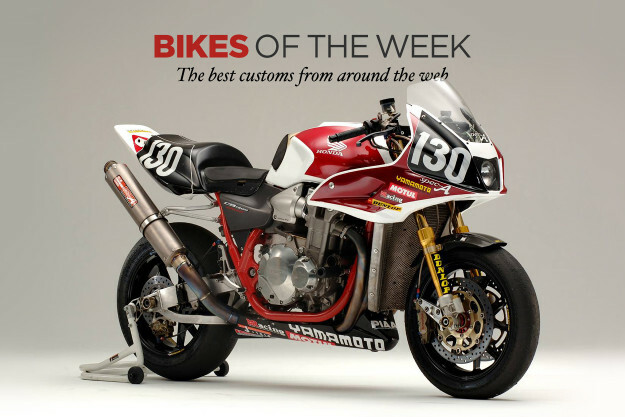 Meet the machines the revved our engines this week. Yamaha Yard Built XSR900 by Wrenchmonkees When Wes reported back to us on Yamaha’s new XSR900 he called it a “Brute in a suit—a well balanced machine that was bucket loads of fun.” Wes did have some aesthetic niggles though, namely a pair of plastic warts—electronic module boxes—festooned to the XSR’s minimalist frame. With the Yard Built program back in full swing, it was only a matter of time before the XSR900 was given some pro-builder polish to clean those things up. Enter longtime Bike EXIF favorites, the Wrenchmonkees. Honda CB1300 by Yamamoto Racing If you call Canada or the United States home, chances are your only exposure to a Honda CB1300 has been on the internet. If you’re lucky, you may have a friend who knew a guy whose cousin imported one through the grey market—but Honda’s Super Four has never been sold in North America. Sadly, that isn’t changing anytime soon. So we’ll simply tease you with this CB1300SF track day weapon created by the skilled hands at Yamamoto Racing of Iga-shie in Japan. 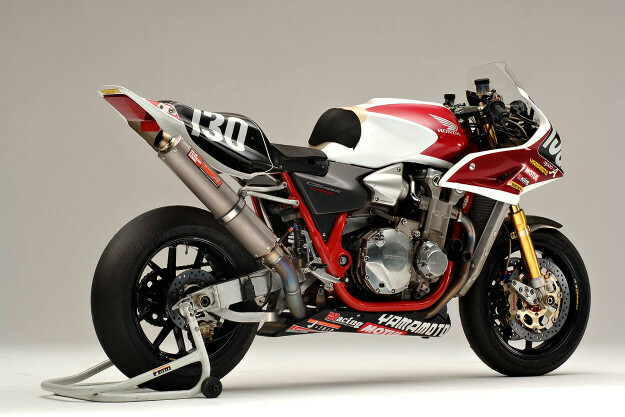 Built as a test mule for a line of performance parts, this Super Bol D’Or has also crushed the record at Suzuka’s 8-hour Spec-A endurance race. Twice. 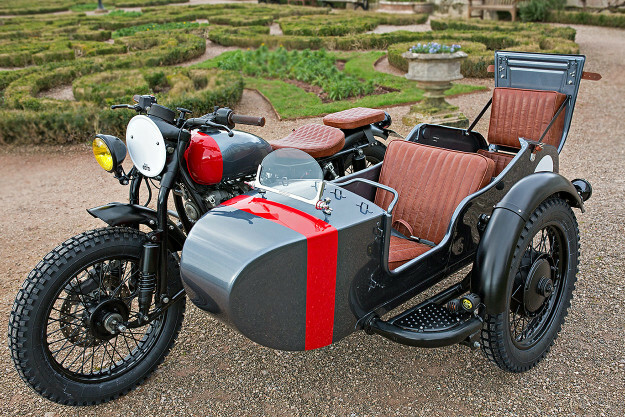 Ural Tourist by Kevil’s Speed Shop If you’ve ever had the pleasure’ of riding a Ural, you’ll know they can be an extremely quirky machine to handle. These Siberian sidecar sleds buck to the right under acceleration, and yaw to the left the moment the twistgrip is rolled back. There’s never a dull moment, but the upside is transportation for three. Or four, in the case of the 2007-spec Tourist 750 here. Kawasaki KZ650 by Magnum Opus Based in Wilmington, North Carolina, Magnum Opus Custom Bikes is helmed by Ezio Covelli—a man with a growing resumé of impressive builds. 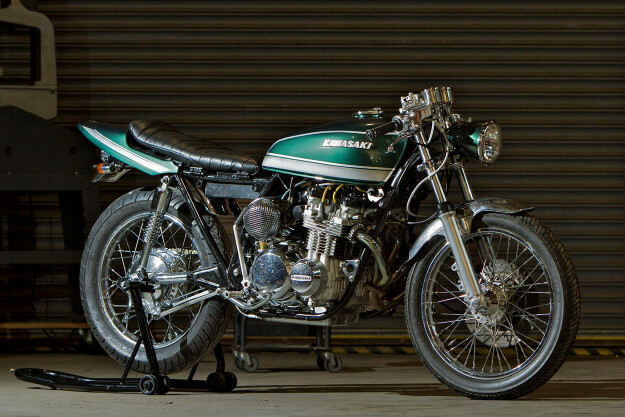 His latest custom work is this turbocharged Kawasaki KZ650, which made its debut at the Handbuilt Show in Austin, Texas last week. Its period-correct alterations have me all kinds of impressed. 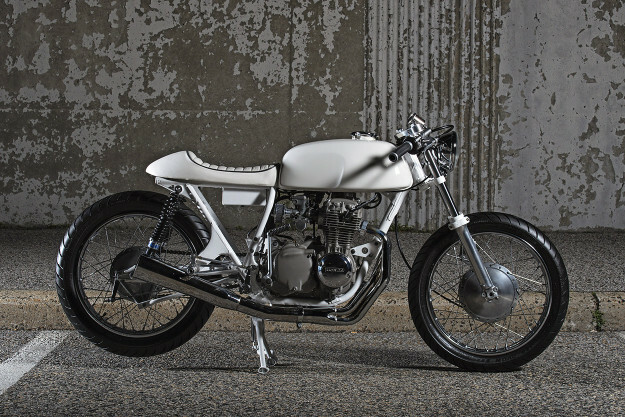 Honda CB350F by Kinesis Moto The worst thing that can happen to a custom build is to over-do things. Function becomes stymied, and the soul of the motorcycle—its rideability—is lost to superfluous frippery. 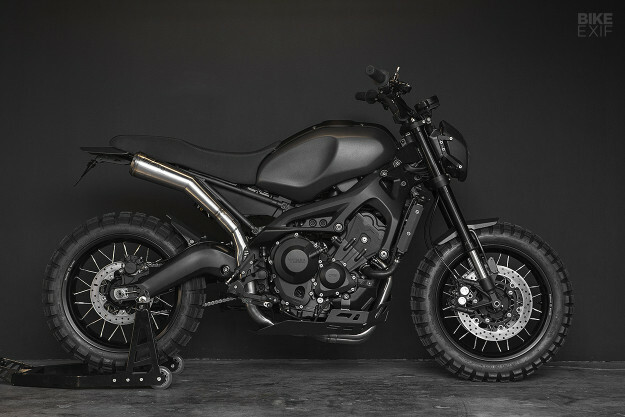 This is a lesson Jeff Gittleson, the man behind New York’s Kinesis Moto, takes very seriously. “Simple, lightweight and distraction free” is how Jeff describes his 1973 Honda CB350F cafe racer and I’d say he’s bang on. Stripped of redundancy, Jeff wanted to highlight the Honda’s inline-4 engine over everything else. So everything except the mill was scaled back in design and streamlined. The front disc brake was swapped for a lighter, more elementary drum unit, which thanks to the CB350’s 50-lbs weight loss has more than enough bite. The front end was lowered 1.5-inches to straighten the CB’s spine and a custom tray was welded into the new subframe. This houses the minimal remaining electronics, which can be easily accessed by lifting the gorgeous one-piece leather wrapped seat.